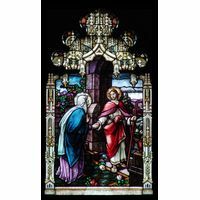 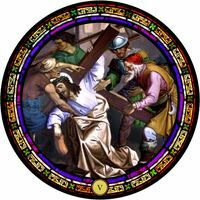 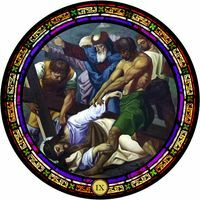 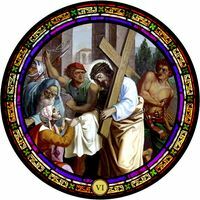 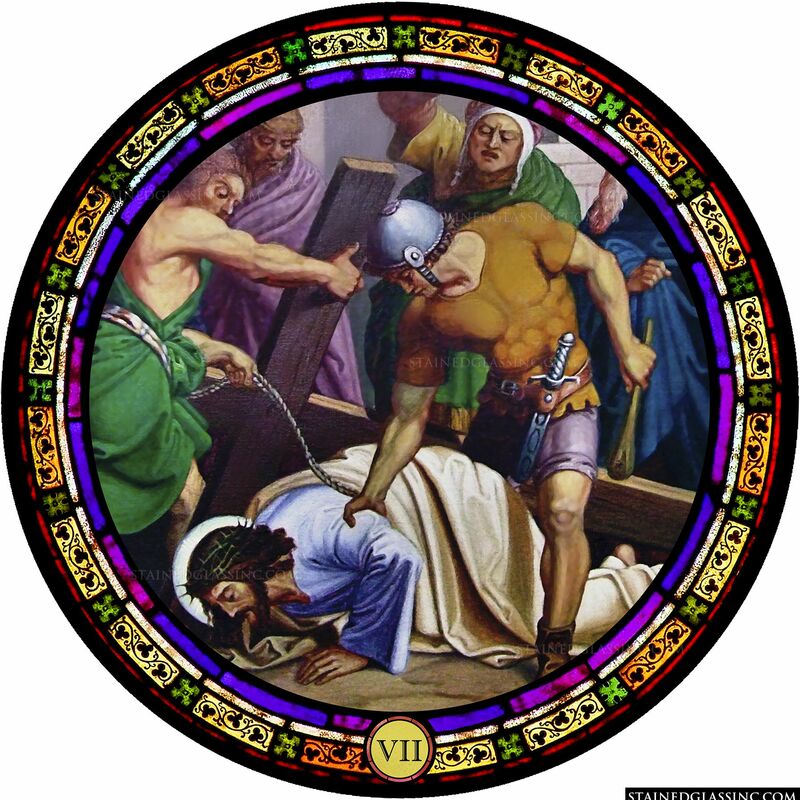 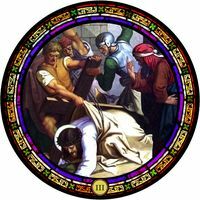 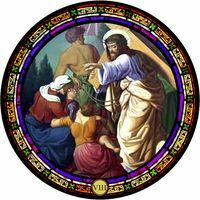 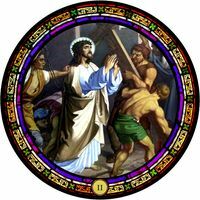 This rose window illustrates the seventh Station of the Cross in which Jesus falls for the second time as he bears his Cross on the journey to his execution. 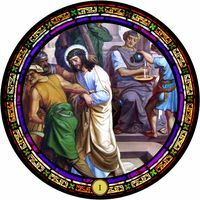 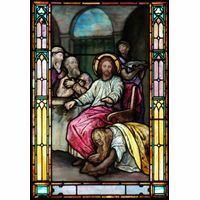 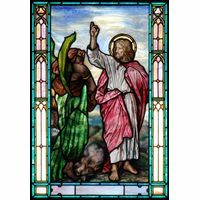 Our stained glass artists have captured all the drama and emotion of each station, including this one where there is a rich use of color and detail throughout the round stained glass window design. 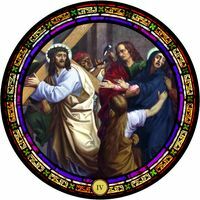 It can be made to order to fit any space in your church or chapel.